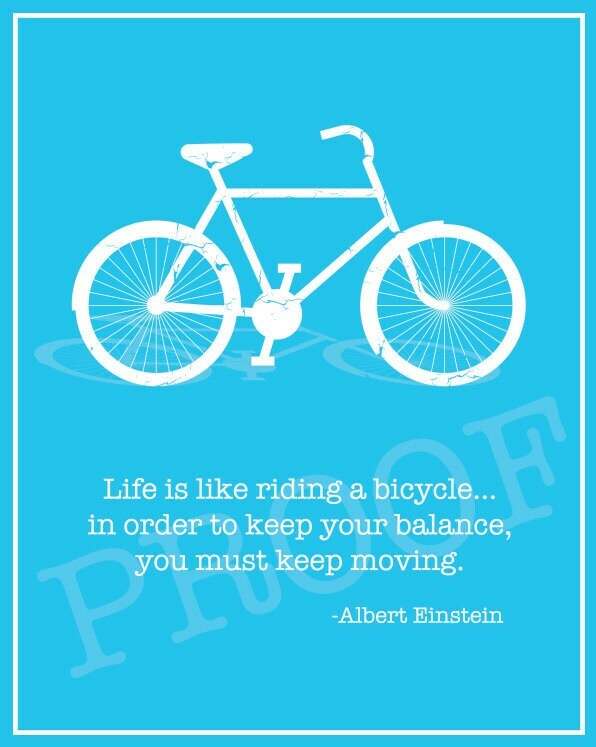 Life is like riding a bicycle... Quote by Einstein. 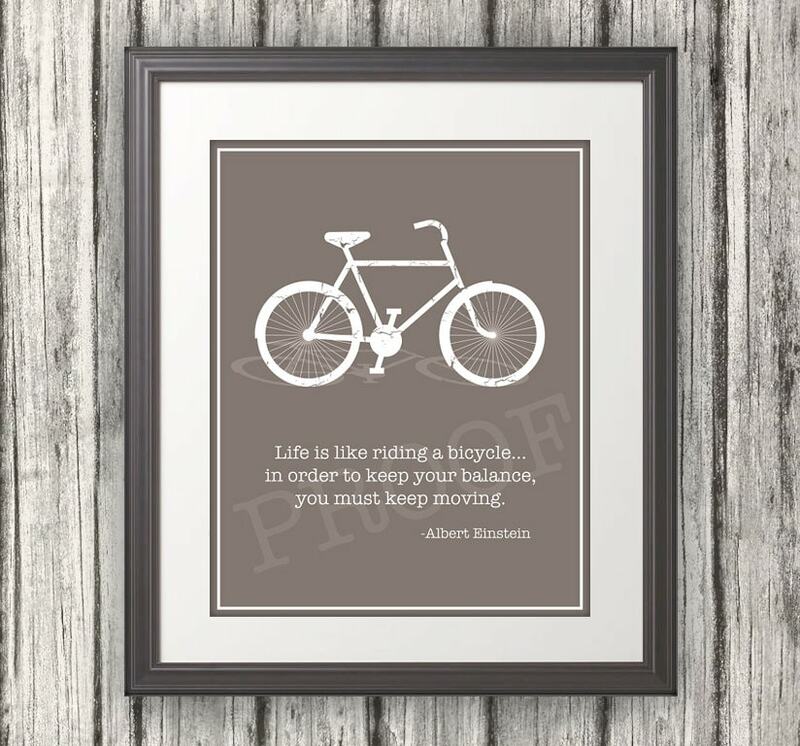 "Life is like riding a bicycle... To keep your balance you must keep moving - Albert Einstein"
This original inspirational print makes a perfect gift or decoration for your home or business. 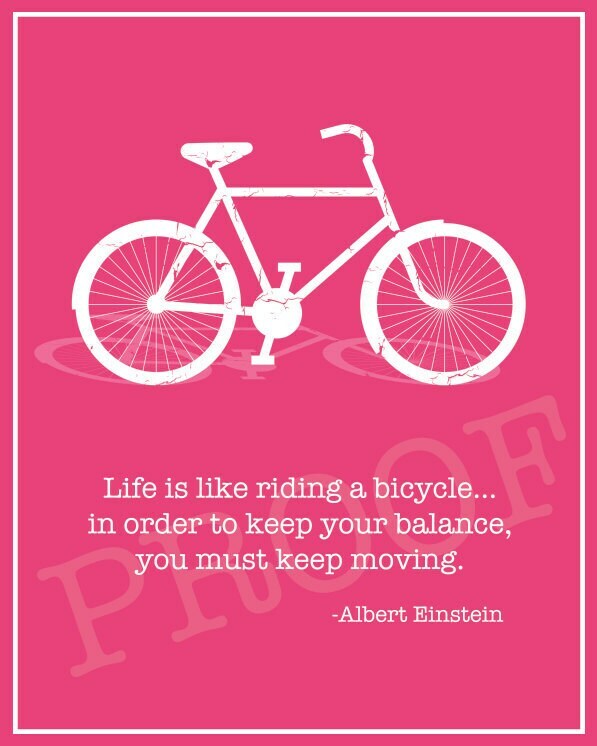 This print measures 8x10 and is professionally printed on high quality thick paper stock. 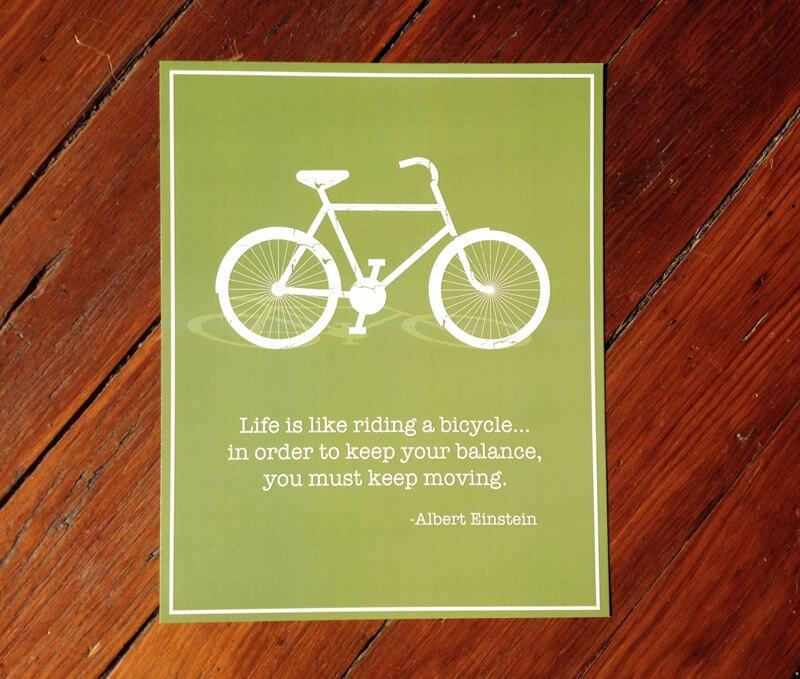 Please specify if you would like glossy or matte finish when ordering. 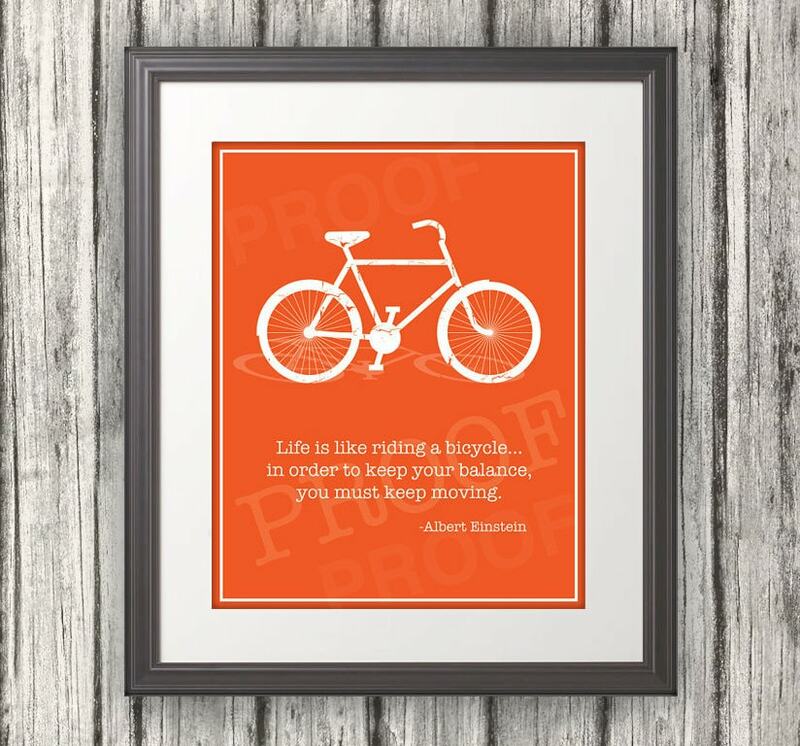 The purchased print will not have the word "proof" behind the lettering. The frame and matte are not included. Please let me know which color you would like when ordering. Feel free to contact me if you have any questions. $1.00 from this sale goes to the Animal Rescue Foundation.